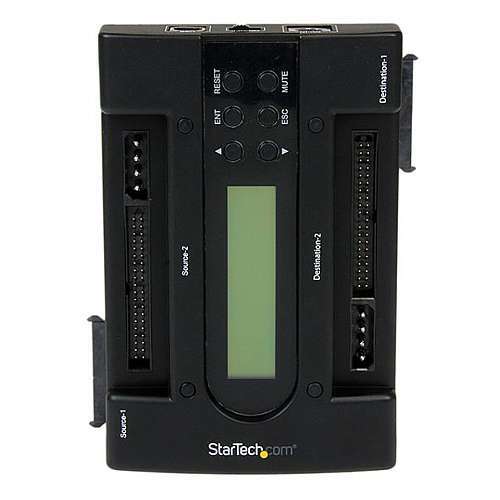 The StarTech Hard Drive Dock/Duplicator lets you duplicate/clone an existing hard drive without the use of a host computer system. It allows you to create an exact one to one sector clone from one hard drive to another, including partition and boot sector information and all data, at a rate of 72Mbps. 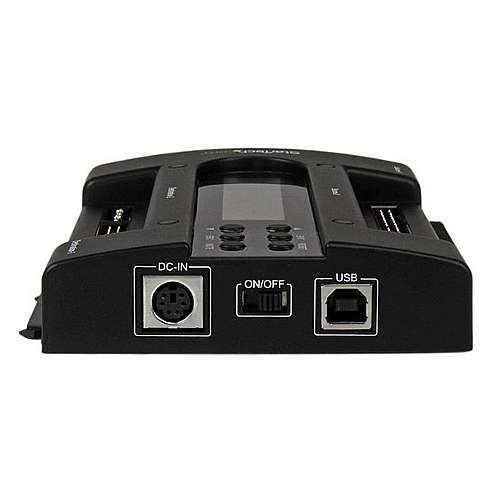 This device supports plug-and-play installation and can be connected to your host computer through USB 2.0, providing data transfer speeds up to 480Mbps. It supports both SATA and IDE 2.5in 3.5in hard drives. 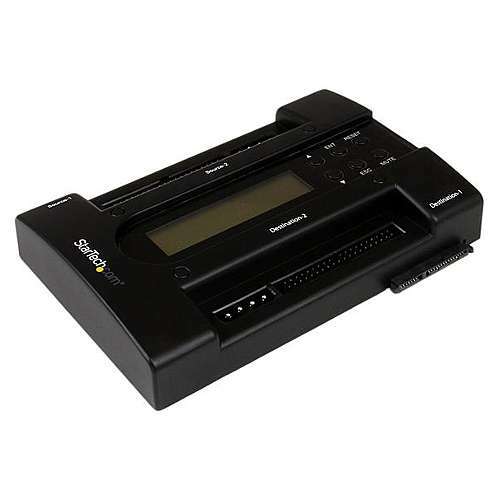 By viewing the LCD display, you can select the option you want or check the status. 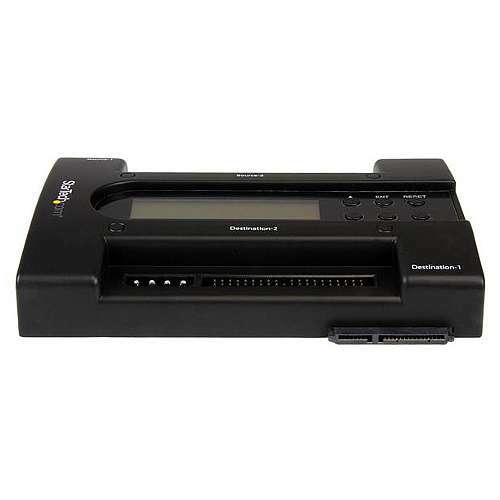 With Built in RAID 0, 1, and BIG functionality, this device delivers brilliant operation. 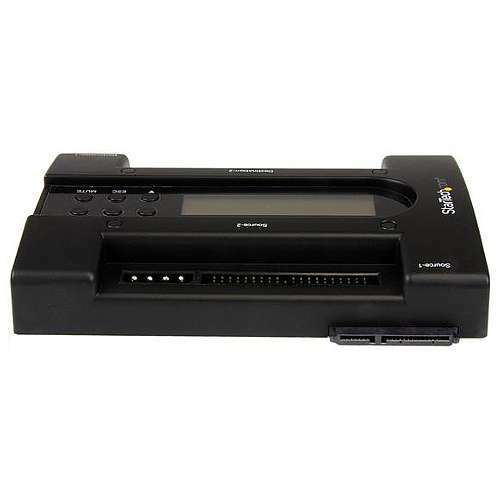 Compatible with Windows 2000, Windows XP, Windows Vista, Mac and Linux operating systems, it functions as both hard drive copying/imaging solution. 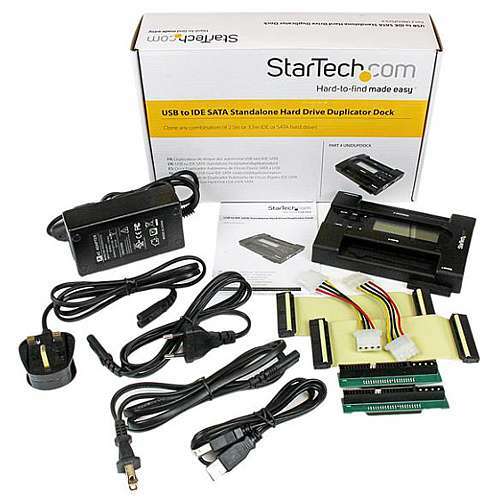 Order the StarTech Hard Drive Dock/Duplicator now! Comes with no instructions and have to do hit and miss on setup. Tried 3 times to clone Toshiba 2.5'' HD to Seagate SSD 2.5'' HD. Laptop will attempt to start Windows (could briefly see Windows logo) before crashing. Emailed tech support and although they responded, their ''fix'' did not solve the problem. I give it a thumbs down and returned it. I used mine two times for duplicating HD, both times it destroyed my HD. I thought the first time I did something wrong. Next time I made sure I followed directions to a T. Same thing. I still use it but only as a data backup or retreivial. Don't trust it for duplicating. Other than that it's great for external HD. I have been using this machine for about 2 yours. I can honestly say the has saved hundreds of hours formatting and installing windows. I am an engineer at a radio station. We had one of our music servers crash on the boot drive. Before trying to rebuild the boot drive, we tried cloning it since the disk errors were primarily read errors. Two hours after cloning we dropped the cloned disk in the system. Everything works flawlessly. We are now duplicating all mission critical boot drives.